Genuine Merino Lambskin, handcrafted on the Sunshine Coast of British Columbia since 1984. 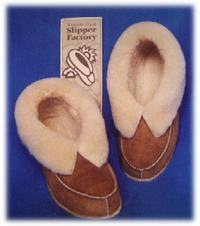 The Slipper Factory has grown on a reputation of providing the finest quality shearling slippers with a classic design. Our luxurious sheepskin footwear makes great gifts and you'll find people wearing our product all across BC, Canada and indeed around the world. We use only first grade Merino lambskin, rather than sheepskin, in all our handcrafted and washable products. Merino lambskin is renowned for its density, softness and outright durability and makes a great slipper. We purchase our skins only from tanneries that use environmentally sound tanning processes. Our Merino shearling cushions and comforts tired feet. Quality cowhide soles and premium nylon thread are added to ensure long lasting wear in our slipper line. Best of all we offer the most comprehensive after sales guarantee in the business. 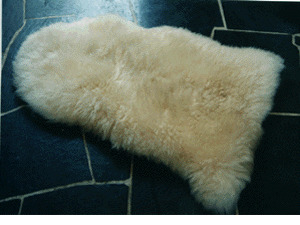 Since 1984 we have been in the business of hand crafting the finest sheepskins into useful and affordable products. Skilled fingers shape and sew wonderful creations that will put a smile on your face and warmth in your soles. 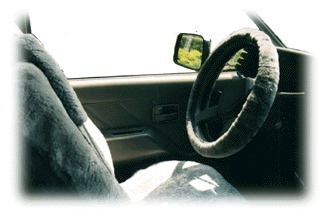 The natural feel and comfort of sheepskin will keep you cozy in the winter and comfortable in the summer. 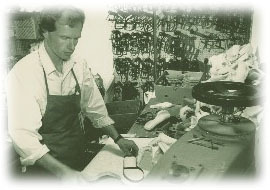 The Sunshine Coast Slipper Factory is committed to offering a range of quality products that allow you to enjoy the luxury of affordable sheepskin. All our prices are in Canadian currency. Since 1984 our company has grown on providing only quality products. We stand behind our guarantee and we want to know if you are having problems. People often tell us that their slippers become like old friends. We take pleasure in repairing slippers to give them extended life. The Internet offers many things to many people. We hope that we attract people looking for quality sheepskin products from a company that stands solidly behind their products.